Harlan Weaver, assistant professor, co-organized a series of panels titled “Non-Human Relational Creativity: Crafting Queer Kin and New Kinds,” and presented “Training as Creating in Kind” at the Society for Literature, Science, and the Arts conference in Atlanta in November. 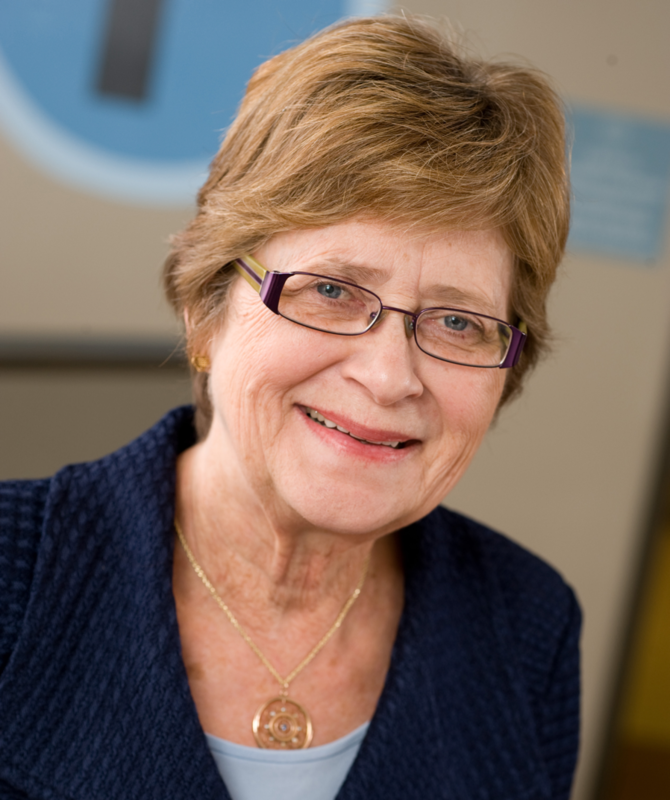 Jean Folkerts was named Interim Director at the A.Q. Miller School of Journalism and Mass Communications at Kansas State University, effective January 1. She is former Dean and Alumni Distinguished Professor Emeritus of the School of Journalism and Mass Communication at the University of North Carolina at Chapel Hill. 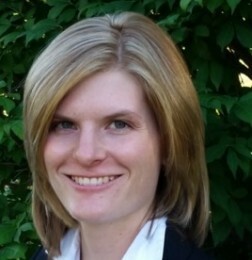 She holds a Ph.D. in American Studies from the University of Kansas and a B.A. and M.S. in Journalism from Kansas State University. Prior to her deanship at UNC, Folkerts served in several roles at The George Washington University in Washington, D.C. 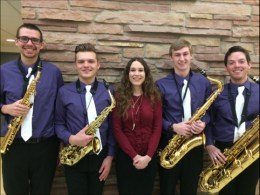 These included being Director of the School of Media and Public Affairs, Professor of Honors, Associate Vice President for Special Academic Initiatives, and Interim Dean of Columbian College of Arts and Sciences. In 2016, she was selected for the Sidney Kobre Award for Lifetime Achievement in Journalism History. The award is given by the American Journalism Historians Association. In 2001, she was named Teacher of the Year by the Freedom Forum for excellence in the teaching of media history. From 1992 to 2001, she was editor of Journalism & Mass Communication Quarterly. Her research specialty is media history. She serves on the editorial board of Journalism & Mass Communication Quarterly. 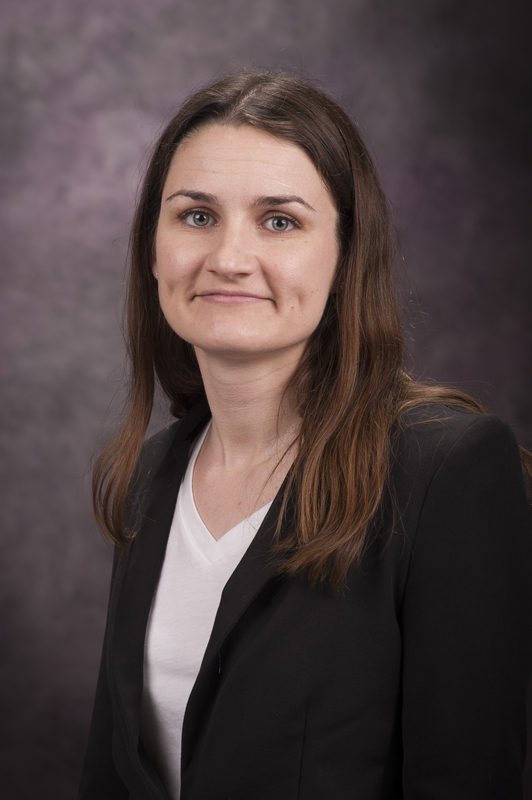 Anna Zemlyanova, assistant professor of mathematics, is the newly appointed vice president of the Society for Industrial and Applied Mathematics Central States Section. The society was formed in 1951 and has more than 13,000 members. The Central State Section serves the society’s members in Arkansas, Colorado, Iowa, Kansas, Mississippi, Missouri, Nebraska and Oklahoma. The section’s purpose is to enhance communication among members, promote collaboration for both basic research and applications of mathematics to industry and science, represent applied and computational mathematics in the region, and support the society’s mission in the central region of the U.S.
One of the Central Section’s main activities is to organize an annual meeting. Meetings took place at Missouri University of Science and Technology in 2015 and the University of Arkansas at Little Rock in 2016. The location for the upcoming 2017 meeting is Colorado State University. Kansas State University is slotted to host the seventh annual meeting in 2021. The section’s other activities include encouraging new Society for Industrial and Applied Mathematics student chapters and facilitating collaboration among all student chapters in the central region. Participation in Central States Section activities is open to all institutions and industries in the region with an interest in applied and computational mathematics. On Dec. 9, six Kansas State University cadets took the Oath of Office marking their entry into the United States Army as Second Lieutenants. Brig. Gen. Patrick D. Frank, 1st Infantry Division and Fort Riley’s acting senior commander, addressed the lieutenants and their families, offering advice and congratulations. 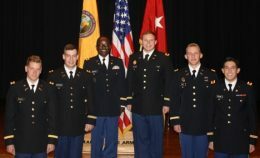 The newly commissioned lieutenants will start their careers in the Basic Officer Leaders Course; a two-phase training course designed to teach leadership skills, small unit tactics and certain branch-specific capabilities; followed by a permanent assignment in one of the Army’s bases across the globe. They will serve in a variety of branches including Armor, Aviation, Infantry, Military Police and Transportation Corps. 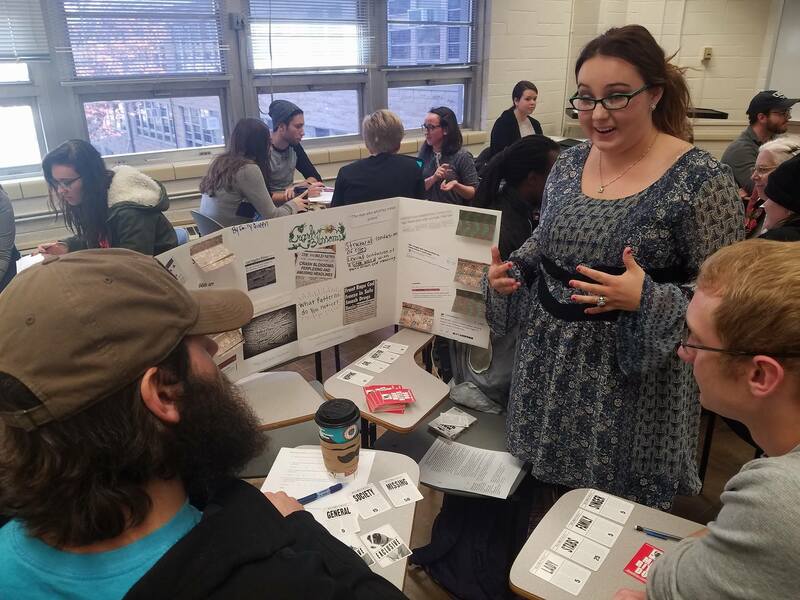 As a part of K-State’s first ever undergraduate linguistics symposium, Modern Languages (German) and English students designed hands-on beginner linguistics activities for their peers and other colleagues. One student commented that even though they’d learned about linguistic concepts important for German, participating in the diverse linguistics activities made clear that these concepts were applicable to other languages, too. Another student was interested to discover that all languages change through use in interaction and due to major, global events. The symposium was designed and led by Dr. Janice McGregor (Modern Languages) and Dr. Mary Kohn (English). 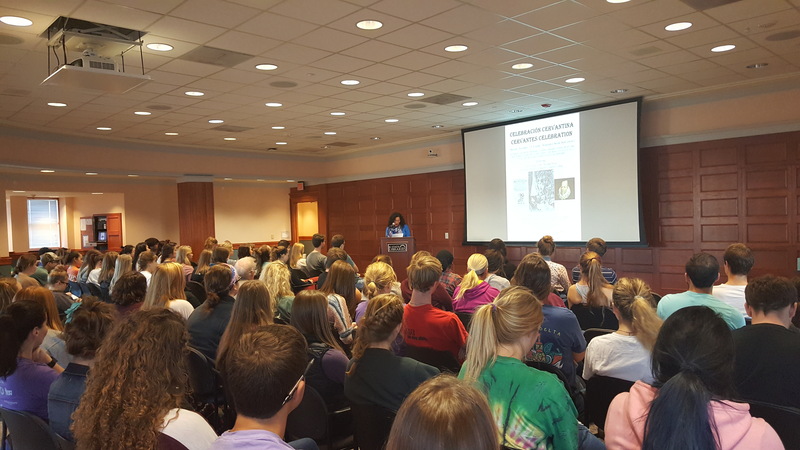 Around 100 students from across campus attended the Spanish Club’s Cervantes Celebration / Celebracion Cervantina on Nov. 10 to honor the 400 years since the death of Miguel de Cervantes, author of the famous “Don Quixote de la Mancha” and one of Spain’s greatest novelists and playwrights. 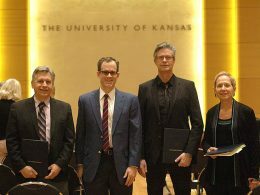 The event was sponsored by the Student Governing Association, K-State Libraries and the Department of Modern Languages. 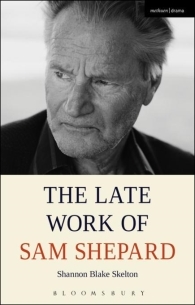 Shannon Blake Skelton, assistant professor of theatre, recently published “The Late Work of Sam Shepard,” a book on the American playwright, actor and director. Hailed by critics during the 1980s as the decade’s “Great American Playwright,” Shepard has since continued to produce work in a wide array of media including short prose, films, plays, performances and screenplays. Like Samuel Beckett and Tennessee Williams in their autumnal years, Shepard relentlessly presses the potentialities and possibilities of theatre. This is the first volume to consider Shepard’s later work and career in detail and ranges across his work produced since the late 1980s. Shepard’s motion picture directorial debut “Far North” (1988) served as the beginning of a new cycle of work. He returned to the stage with the politically engaged “States of Shock” (1991) which resembled neither his earlier plays nor his family cycle. With both “Far North” and “States of Shock,” Shepard signaled a transition into a phase in which he would experiment in form, subject and media for the next two decades. Diane Patrick (1970) has established an endowed professorship in Political Science through a deferred gift to honor her late husband Bob Patrick (1969, 1970, History) and former political science professor Orma Linford. Dr. Linford was a central member of the department for decades and is credited with building the pre-law program at KSU. A staunch defender of civil liberties, Linford was known for her humanitarianism. Bob Patrick went on from KSU to have a distinguished career in environmental law at the Environmental Protection Agency where he served as Senior Attorney and Regional Judicial Officer. Diane had a career in state government and nonprofit service where she worked to empower low-income families and to strengthen disenfranchised urban and rural neighborhoods. Bob and Diane have always valued education and they are especially appreciative of their K-State years. 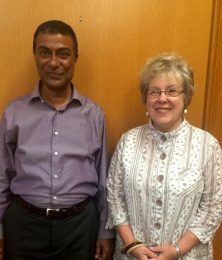 The Linford-Patrick Professorship demonstrates their commitment to K-State Political Science by providing an endowment to recruit or retain a high caliber faculty member in the department. The faculty member holding the professorship will continue Orma Linford’s legacy by focusing on civil rights, human rights and diversity. 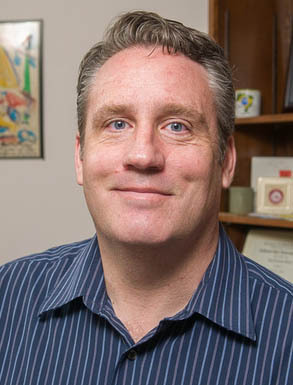 Gary Brase, Professor of Psychological Sciences and Director of the Psychological Sciences Graduate Program, was selected as a Fellow of the Association for Psychological Sciences in recognition of his “sustained outstanding contribution to the advancement of psychological science.” Dr. Brase studies complex human decision making using cognitive and evolutionary theories to shed light on topics such as medical decisions, relationship and fertility decision making, and reasoning about social rules. 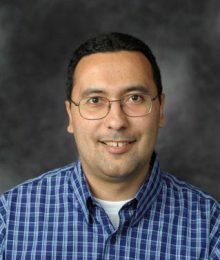 He has published more than 60 journal articles and book chapters and co-authored more than 100 research presentations. Dr. Brase received his Ph.D. from the University of California at Santa Barbara in 1997 and joined K-State as an Associate Professor in 2007. K-State’s undergraduate Anthropology program has a long history of preparing students for advanced study and long-term success in research, teaching, governmental service, and private business and industry. This has been and continues to be accomplished through innovative classroom instruction and quality field and laboratory research experiences. A recent example is the success of alumn Dr. Caroline VanSickle (KSU BS 2007), visiting assistant professor of anthropology at Bryn Mawr. Her paleoanthropological research is highlighted in the December 2016 issue of American Scientist. VanSickle works in collaboration with Dr. John Hawks (KSU BS 1994), also an alumnus of K-State’s Anthropology program and presently Fulbright Scholar and Villas-Borghesi Distinguished Achievement Professor of Anthropology at the University of Wisconsin-Madison. These outstanding scholars play major roles in the National Geographic-supported Rising Star Expedition investigating newly discovered remains of the early hominin Homo naledi. Their foundational training was gained through K-State’s Anthropology program. Gerad Middendorf, professor of sociology, co-authored a paper titled “Attitudes of Extension Educators in Kansas and Oklahoma Regarding Climate Change,” recently published in the Journal of Extension (JOE). The paper is an output a large, collaborative, multi-institutional project that includes more than 60 collaborators that form a region-wide network including researchers from Oklahoma State University, the University of Oklahoma, Kansas State University, Tarleton State University, the Samuel R. Noble Foundation, and the U.S. Department of Agriculture Agricultural Research Service laboratories in El Reno, Oklahoma and Bushland, Texas. The team includes agronomists, animal scientists, engineers, soil scientists, sociologists, ecologists, meteorologists, economists, extension personnel, and producer collaborators. 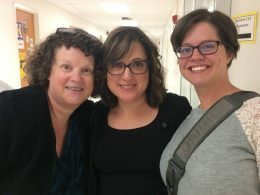 Middendorf and team surveyed extension educators in the southern Great Plains about their attitudes and beliefs regarding climate change, their interactions with constituents surrounding climate change, and challenges they face in engaging constituents on the topic of climate change. Educators reported (a) a lack in training/capacity for addressing climate change issues and (b) needing information, especially regarding drought and extreme or unseasonable weather events and related management practices. Educators also identified a need for more educational resources, including print materials and online decision aids. Implications are relevant to educators working beyond the study area and in any agricultural production system. Jessica Marie Falcone, associate professor of anthropology, published “Dance Steps, Nationalist Movement: How Hindu Extremists Claimed Garba-raas” in Anthropology Now. László J. Kulcsár, professor of sociology and department head of Sociology, Anthropology and Social Work published “Depopulation and its Challenges for Development: An International Comparison” in the Journal of Population Problems. 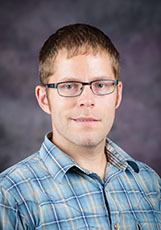 Trevor Hefley, assistant professor of statistics, was the lead author on the article “When Can the Cause of a Population Decline be Determined?” published in the journal Ecology Letters, the top technical journal in the field of ecology. Many existing policies and programs intended to prevent extinctions operate on the assumption that factors driving the decline of wild populations can be easily determined, but often the factors driving a population to extinction are statistically indistinguishable from factors that naturally regulate the size of a group. Hefley and his co-authors’ results show that this confusion is likely to occur when the variables that drive population size to decline change gradually over time. This result has direct implications for wild populations, because many factors that might drive a population to extinction, such as climate change or habitat deterioration, change gradually. The team’s work highlights the need to fuse multiple alternative data types and novel statistical methods to determine the cause of a population decline. This was an interesting, succinct report. In these challenging times for education in Kansas, I was encouraged to read of recent outstanding accomplishments among faculty and students at KSU. We are so glad to hear you enjoyed the newsletter! Our faculty and students also inspire us with their hard work and creativity.